This is a brick one story house,fenced in, 2217 sq foot, 4 br, 1.5 bath, with a carport that was built in 1968. 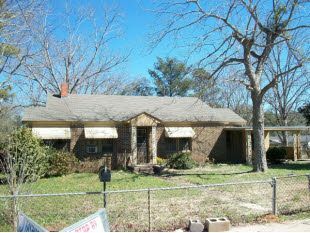 There are no liens on the title and the owners still reside at the property. They are wanting to relocate as soon as possible because of financial hardships but cannot due so without receiving money for the property. From my research, the property should appraise between 125k and 160k. The only repairs needed are minor such as restoring the hardwood floors as carpet was once put on top of it and the 2nd bathroom needs minor work. I currently have the property under contract to purchase at $80,000 plus closing costs. I would like to assign the contract to another investor and I'm only seeking a small assignment fee of $500. I have a private funder who will fund me 80% of the contract amount, however I'm not in a position to pay for small expenses yet such as an appraisal and closing costs.